Let me tell you a little story. You see, where I come from high school football is big. When I was growing up, everyone was at the game every Friday night. It was the place to be and the thing to do. I just so happened to marry someone who graduated from my rival high school. To this day, the schools are still rivals and every fall they play against each other in what is known as the Salt Bowl. My husband and I always joke around with each other about whose school is better, and we both prefer to root for our own teams. We are also opposite in almost every other way. He’s tall, I’m short. He has brown hair and brown eyes, I have blue eyes and blonde hair. He’s more extroverted, I’m introverted. I guess the saying is true, opposites really do attract! 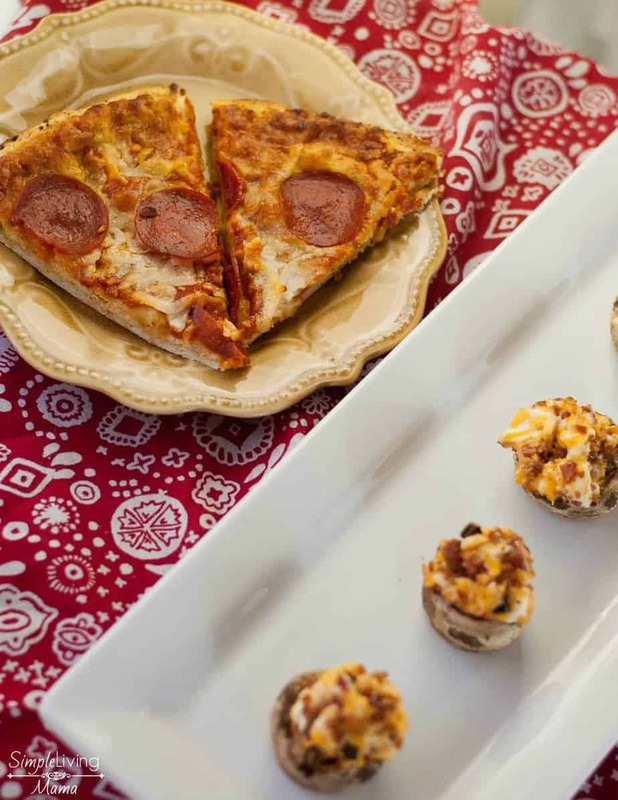 Before we get ready for the big game, I like to make sure we eat a quick and easy meal, along with some delicious appetizers. 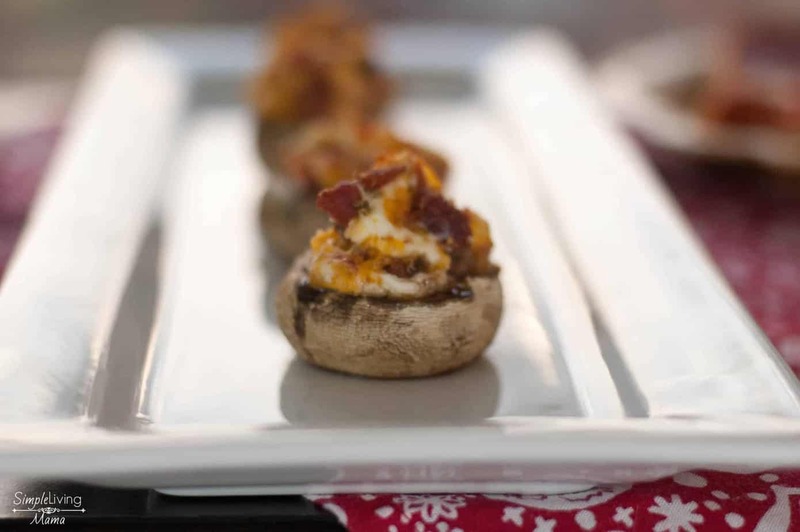 My bacon and cheese stuffed mushrooms are absolutely perfect for a football party! Want to win some prizes? Enter below! First, gather your ingredients. This is so simple. 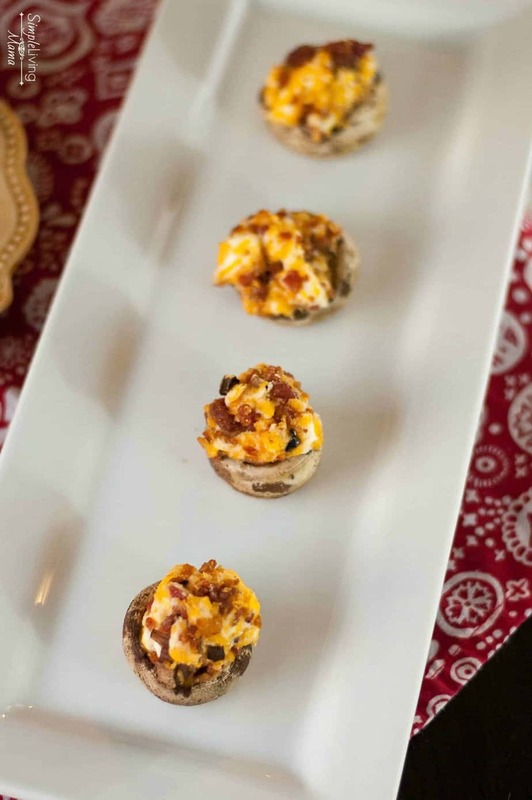 You’ll need button mushrooms, cream cheese, bacon bits, and shredded cheese (any kind you like). 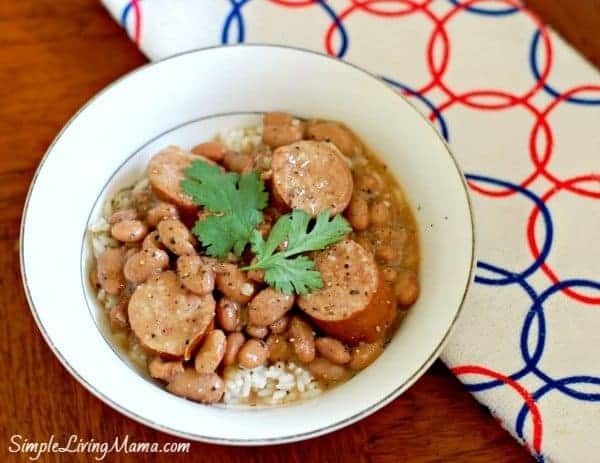 You can also add any spices you prefer. I just used some garlic powder for this one. 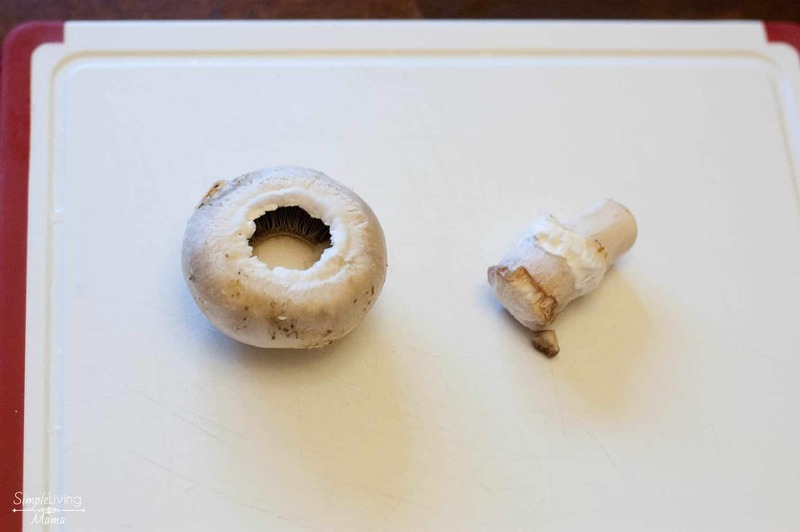 Remove the stems from the mushrooms, and reserve some of the stems to chop. 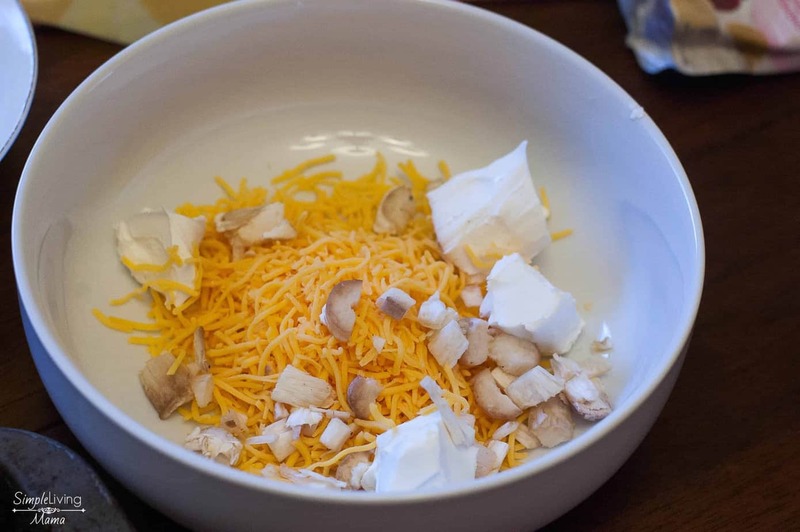 Add the chopped stems to a bowl with the shredded cheese. 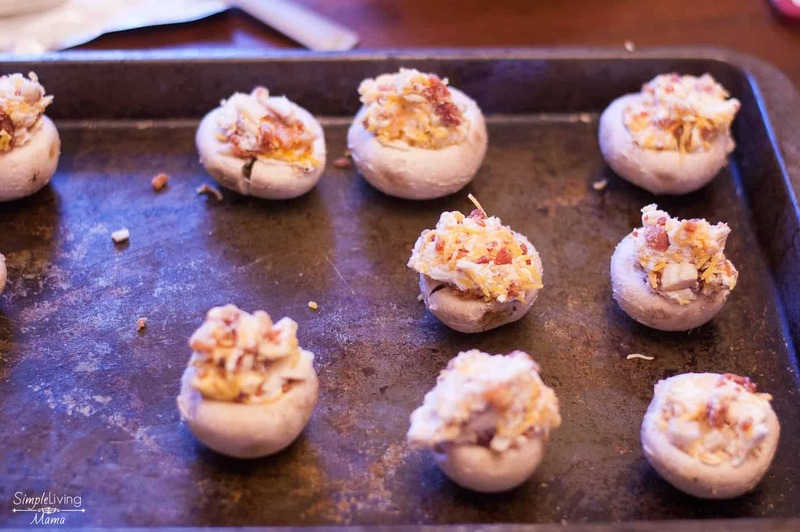 Add in cream cheese, bacon bits, and any spices. 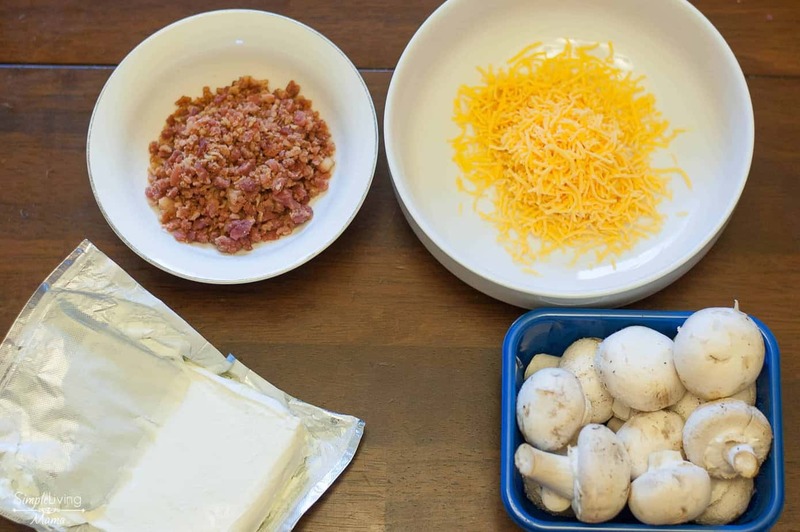 Stuff the mushroom with the mixture and place it on a baking sheet. Bake at 325 degrees for 12 minutes. 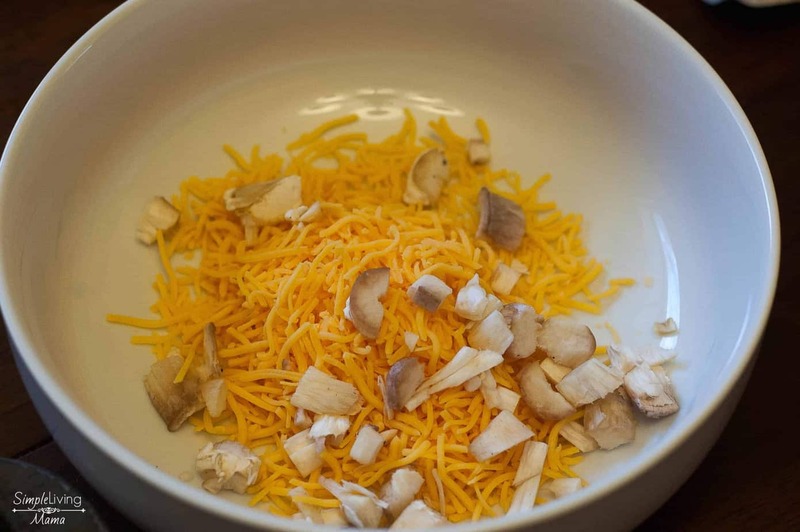 The mushrooms will be nice and tender and the cheese will be melted! 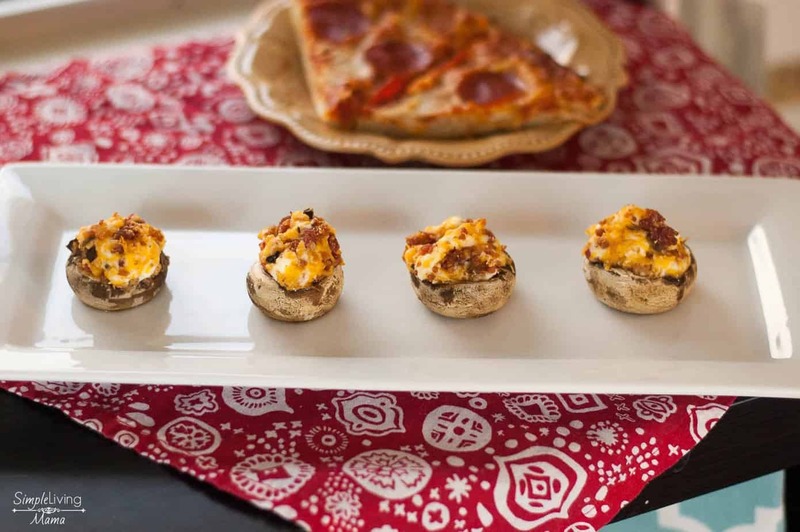 I prefer to serve my stuffed mushrooms up with my family’s favorite pizza. 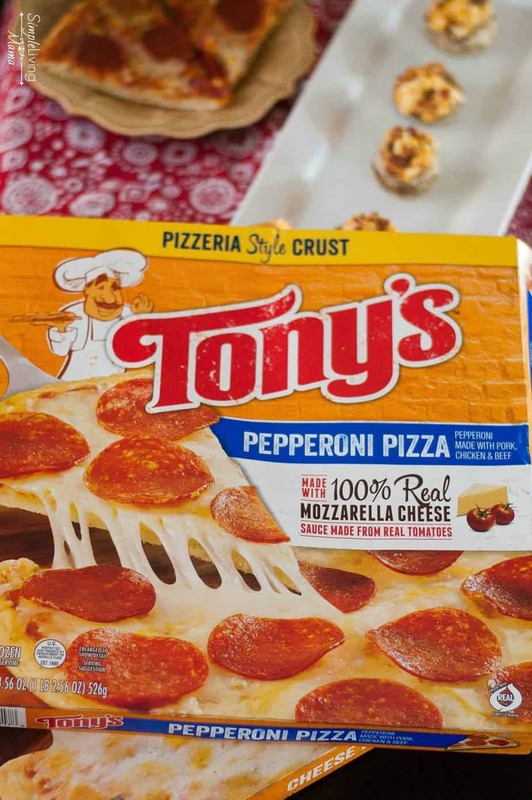 Tony’s® Pizzeria Style Pepperoni Pizza and Tony’s® Pizzeria Style Cheese Pizza are always in our freezer for quick and easy meals. Did you know Tony’s pizza has been serving pizzeria style pizza for over 50 years? We love the crispy crust and the sauce that is made with real tomatoes! 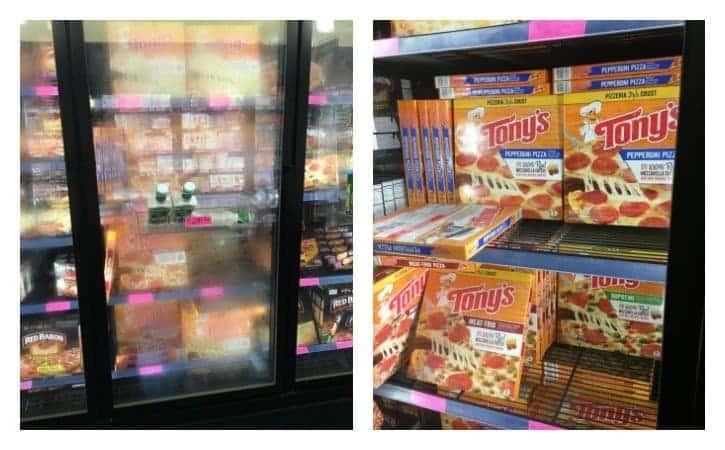 I found our Tony’s pizza at our local Harps in the frozen pizza aisle. 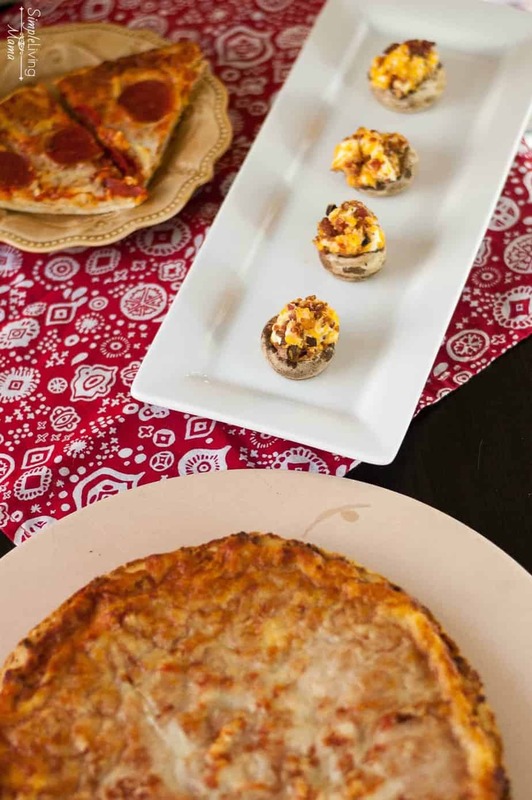 Click here for more delicious recipes to pair with Tony’s pizza! 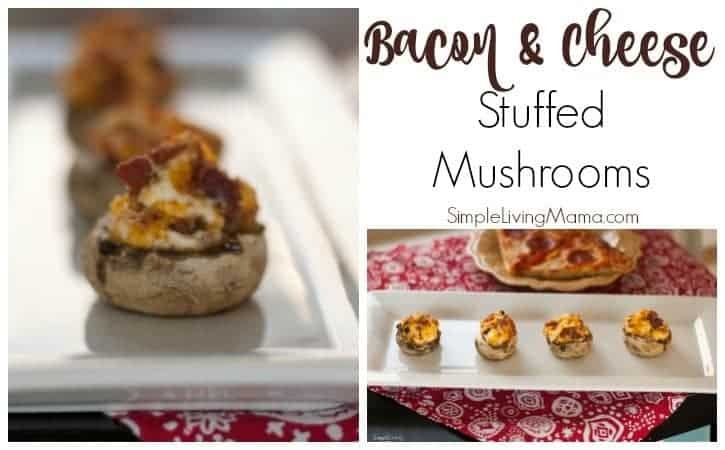 Tender mushrooms stuffed with bacon bits and cheese! 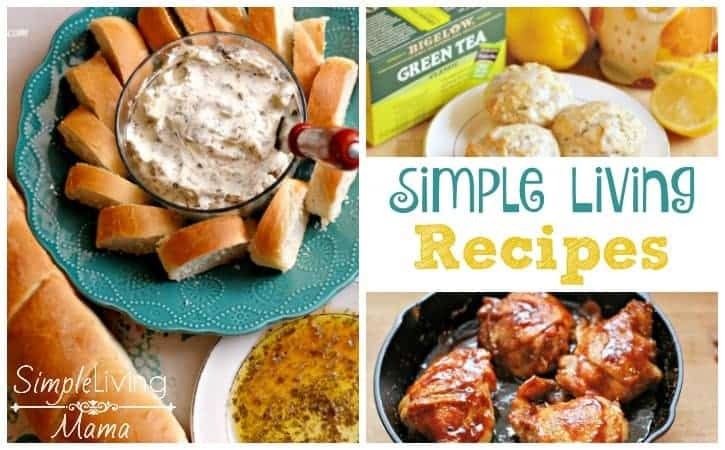 Seasoning of choice - garlic powder, onion powder, etc. 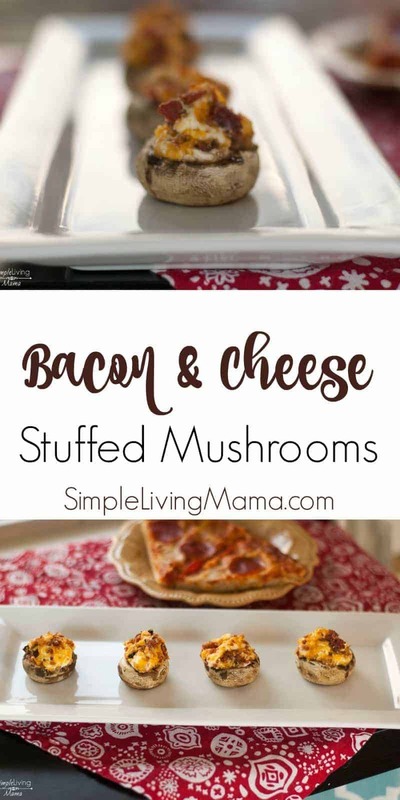 Combine stems, cheeses, bacon bits, and seasoning. Stuff each mushroom and place on baking sheet.